Last year’s performance of ‘Islands (Ynysoedd)’ by the SICC was very well received. The passing of Sir John Tavener, in the same week as the concert premiering this work, meant that all involved wished to pay their musical respects to him and his family. In this context, I felt that the movement part of this piece needed to be temporarily omitted. I journeyed back to Iceland last week to work with the choir on this element of the score. 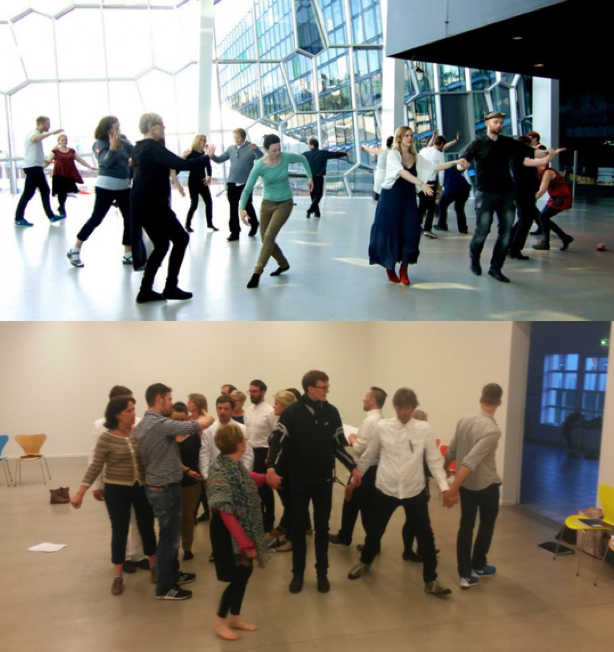 The top photo (credit: Brian FitzGibbon) shows the choir rehearsing in Harpa Concert Hall in Reykjavik. This is where the Icelandic premiere of the work was given in the Reykjavik Arts Festival on 24th May 2014. I will be posting a video of the choir during our preliminary rehearsals, and subsequent performances to my You Tube channel very soon. Posted on 30/05/2014, in General and tagged Brian FitzGibbon, Curated Place, Harpa, Hilmar Örn Agnarsson, Islands (Ynysoedd), Jack White, Reykjavik Arts Festival, SICC. Bookmark the permalink. Leave a comment.